This house on North 8th Street was built in 1858 by Col. John A. Bridgland, wealthy businessman. Unlike most of his neighbors, Bridgland was not a Quaker, so did not build a simple and austere house. Bridgland was born in Virginia, and held to the Southern style of living his entire life. For many years this was considered the most beautiful building in town. It was also notable for its water distribution system, part of which is the four story tower seen here. John Milton Gaar bought the house from Bridgland in 1869, and had it renovated in the 1870s. J.M. 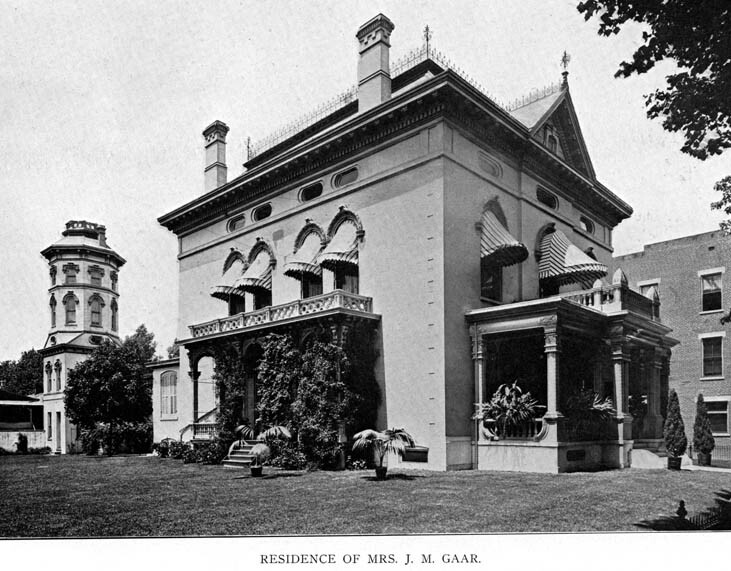 Gaar was one of the founders of the Gaar, Scott & Co., and with his wife and four children lived in the house in the same lavish style as Bridgland. J.M. died in 1900, but his wife, Helen, and one daughter, Jeannette Gaar Leeds, ex-wife of William B. Leeds, continued to live there for several years. In 1907, Helen sold the house to the local chapter of the Elks Lodge. The Elks used it as its City Club, in addition to its Country Club and Golf Course on Elks Road, which it bought in 1926. 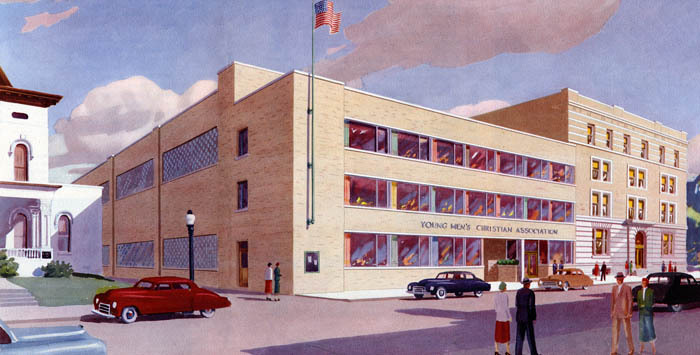 The Elks City Club is seen at the far left of this drawing of the soon-to-be dedicated YMCA addition. In the early 1960s the club wanted to consolidate the two entities and bought the property it now occupies south of town on US 27. 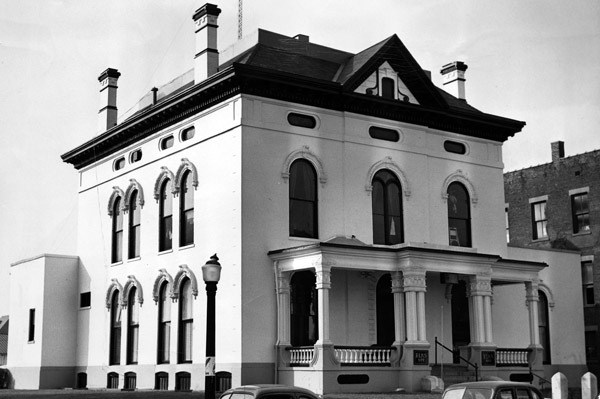 The Second National Bank bought the City Club building, and in January 1964 demolished it to make room for more parking and a "motor bank."